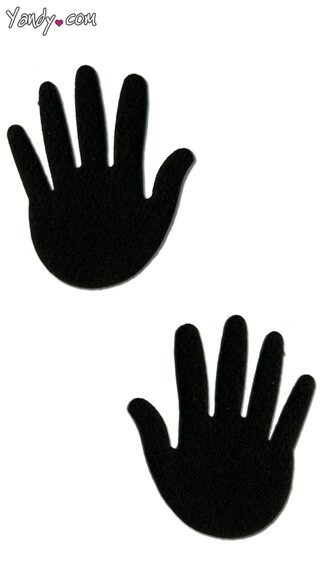 Black hand pasties. Tip! Cut off fingers to make fun hand signs. Hands 3 1/4" 2 3/4"